Measuring, understanding and optimizing investment performance is every marketer’s goal. To achieve this objective, web marketers have increasingly adopted the new concept of algorithmic attribution. Wizaly explains this new concept and its potential. 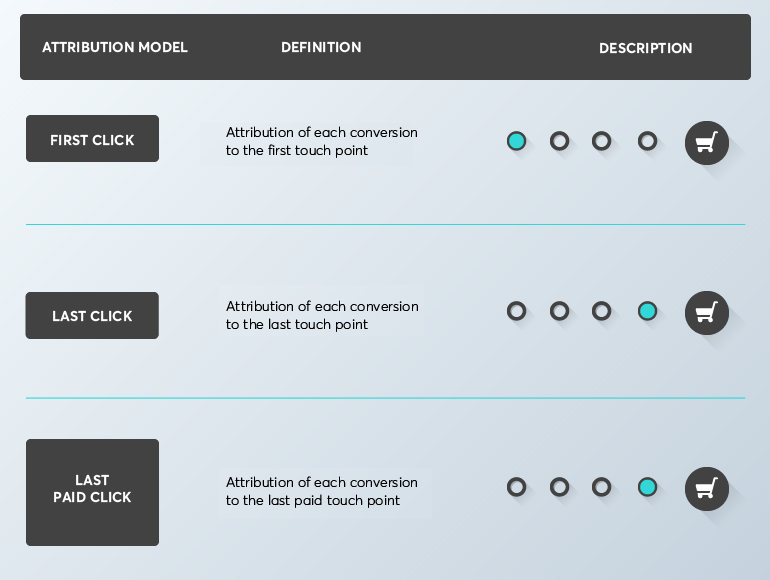 Attribution is a web marketing concept that lets you analyze the contribution of each touch point in the path of a Web user to conversion performance (purchase, lead, reservation, etc.). This concept entails the development of models called “attribution models” that assign relative weights to the various touch points. The touch points can be online, such as SEO, SEA, Display, Social, etc. but also offline, such as TV, call centers, physical stores, etc. Algorithmic attribution is based, as its name indicates, on an algorithmic model that optimally measures the performance of the various channels and their impact on profitability. The major challenge for an advertiser is to maximize his return on investment by optimizing his marketing strategies. What are my channels’ and campaigns’ real performance ? I have additional budget, where should I invest it to boost my sales? I must reduce my investments by $10,000, where should I divest? What is the impact of my online investments on offline and vice versa? How do I visualize and understand the synergies between channels and how do I exploit them? 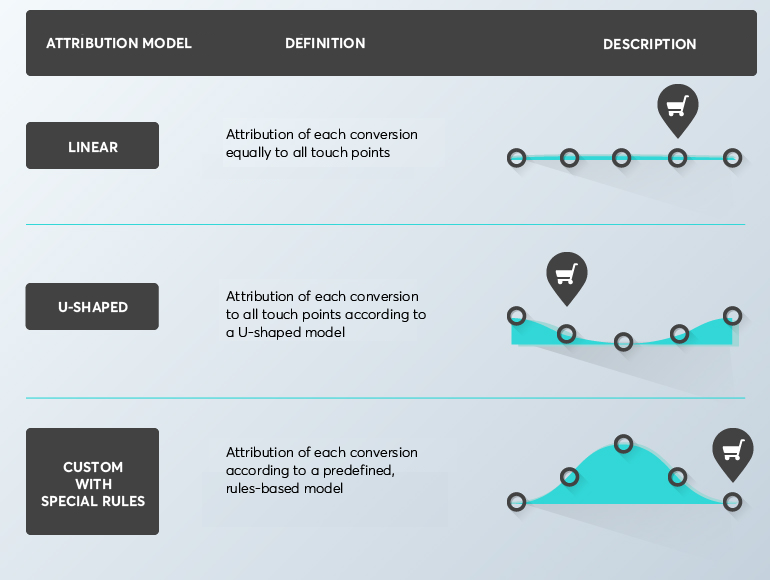 How does algorithmic attribution differ from conventional models? Advantages: No predefined rules, takes into account all touch points, objective measurements, evolves with media mix. At first glance, algorithmic models represent the optimal solution when measuring the performance of each channel. However, it is necessary to be careful when choosing an algorithmic attribution model. Some players wrongly claim to have developed models that objectively reflect the performance of the media mix. It is important to understand how those algorithms work and what variables they take into account. Also, algorithms should evolve with time and as the mix media changes, since users' journeys change as marketing strategies and channels change. Users should therefore challenge their partners’ models and ask them to open their "black boxes" to make sure their algorithms technically meet their needs. How do you choose a model that works for your core business? If the algorithmic attribution model omits one of these features, it most likely isn’t an optimal solution to your marketing issues. If you want to optimize the performance of your investments using attribution modeling, use an algorithmic attribution model that addresses all of your issues. Pay attention to the attribution model you choose: it will determine the quality of the strategic plans you implement. Moreover, an attribution model used without proper context will not drive the expected results. Expert support when analyzing the data and deciding on the appropriate operational next steps will prove indispensable.